"If you are open to learn, everyone and everything becomes your teacher." 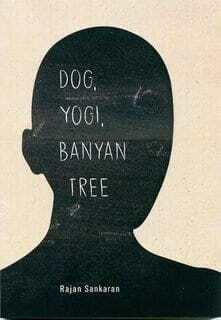 Told through a series of fascinating vignettes, Dog, Yogi, Banyan Tree brings alive Rajan's meetings with various people and situations to form a rich tapestry of his experiences. Starting from his formative years with his father, he takes us on an undulating journey where ordinary people, gurus, a tree and even a dog leave an everlasting impression. The anecdotes, steeped in introspection of ethics, love, friendship, passion, coincidences, critics, challenges, spirituality, strike a chord with us all. The stories, insightful yet amusing, may seem unconnected initially, like threads of different hues hanging loosely, but soon they are deftly woven into a larger picture. It is a tale of personal evolution and spiritual discovery that both touches the heart and heals the soul. Rajan Sankaran often describes himself as essentially a "lazy and stupid" person. A lazy person is one who focuses more in life on 'being' rather than doing. A stupid person is one who begins with no prejudice or knowledge and is willing to observe and experience what actually exists or what is without any analysis or labels. Born in 1960, Rajan is, by profession and passion, a well-known homeopathic practitionery, researcher and author. He lives and works in the Juhu area of Mumbai and teaches worldwide.